Many of us are looking for ways to maximize our long-term wealth. For most of us, this means setting aside 15 to 25 percent of our annual income. The earlier we can start funding our investment accounts, the higher the probability we’ll have that size-able nest egg waiting for us when we reach retirement. Knowing that we need to save for the future is the easy part! However, the challenging part is recognizing which account or “bucket” makes sense to allocate our annual investment contributions towards. For most investors, the focus is on maxing out contributions to workplace retirement plans first because you may be able to take advantage of an employer matching contribution. If there happens to be cash flow leftover, we then turn to Roth Individual Retirement Accounts (IRA) or taxable investment accounts as a long-term savings strategy. Tax deferred accounts like 401ks, 403bs and IRAs offer investors a tax benefit when contributions are made, but the future value of these accounts will be taxable when distributions are taken. Taxable accounts create ongoing dividends, interest and capital gains, which are taxed each year and as gains are realized. Roth IRAs are funded with after-tax dollars and as long as the investor has had the Roth IRA open for at least 5-years AND has reached age 59½, all of the distributions are tax-free (including the earnings portion of the account). In 2018, the Adjusted Gross Income (AGI) threshold for making Roth IRA contributions was $189,000-$199,000 (married filing joint) vs. $120,000-$135,000 (single filers). This means if your AGI was less than $189,000 (MFJ) or $120,000 (single), you are eligible to make a Roth IRA contribution of $5,500 for the 2018 tax year (or $6,500 if over age 50). These contributions are due by the 2018 tax filing deadline (i.e. April 15, 2019). If your AGI falls inside the phase out threshold, a partial Roth IRA contribution can be made. If your income exceeds the phase out threshold, no contribution is allowed. View the 2019 Roth contributions thresholds. There’s a great planning opportunity that is available to some investors that will allow money to flow into a Roth IRA even if the investor’s Adjusted Gross Income (AGI) is too high and doesn’t allow for outright Roth IRA contributions. At Birchwood Financial Partners, we refer to this opportunity as a Backdoor Roth IRA. This strategy is generally predicated upon the investor not having money inside a traditional IRA, SEP IRA or Simple IRA. That is, when the “retirement plan assets” owned by the investor consist of money inside a 401k or 403b, the Backdoor Roth IRA strategy becomes a key planning opportunity. As taxpayers, anyone can make a non-deductible IRA contribution, regardless of income. This is important to keep in mind, because these non-deductible IRA contributions become the framework around which the Backdoor Roth IRA is made possible. A married couple, both age 52, has $700,000 inside their respective workplace 401k plans and $250,000 in a Joint Brokerage account. Their AGI in 2018 is $400,000, which on the surface would lead many to believe they are not eligible to make Roth IRA contributions. This would be an incorrect assumption and if made year-after-year, could cost this couple thousands of dollars in tax-free growth over time. In this case, each spouse is eligible to make a $6,500 non-deductible IRA contribution for the 2018 tax year (due by April 15, 2019). This is possible since there are no income limitations on making non-deductible IRA contributions. After making the non-deductible contributions, this couple could “convert” the $6,500 held in their respective IRAs to new Roth IRAs. Since there are no other IRA, SEP IRA or Simple IRA balances, the full $6,500 in each spouse’s IRA consists of after tax-money (or basis) and is therefore tax-free at the time of conversion. As long as the couple delays taking distributions until 5-years after each conversion AND age 59½, all distributions will be tax-free. This includes the earnings portion of the Roth IRA’s. What tends to complicate the issue for many investors is when pre-tax money is already set aside in IRAs, SEP IRAs or Simple IRAs. 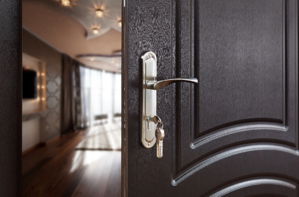 In situations like this, the Backdoor Roth strategy may not be ideal since a pro-rata calculation will need to be made in order to determine what portion of the conversion is tax-free vs. taxable during the calendar year. It helps to be working with a CERTIFIED FINANCIAL PLANNER™ Professional (CFP) to know whether or not the Backdoor Roth IRA is a strategy you and your family should be implementing in your long-term financial plan. You can search for a CFP at www.letsmakeaplan.org.